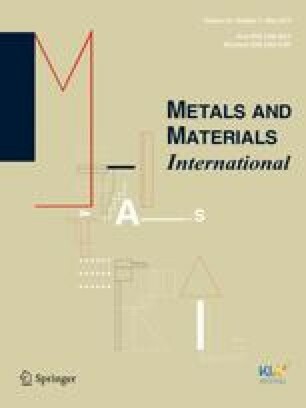 The tensile deformation behavior and processing maps of commercial 5182 and 7075 aluminum alloy sheets with similarly fine grain sizes (about 8 μm) were examined and compared over the temperature range of 423–723 K. The 5182 aluminum alloy with equiaxed grains exhibited larger strain rate sensitivity exponent (m) values than the 7075 aluminum alloy with elongated grains under most of the testing conditions. The fracture strain behaviors of the two alloys as a function of strain rate and temperature followed the trend in their m values. In the processing maps, the power dissipation parameter values of the 5182 aluminum alloy were larger than those of the 7075 aluminum alloy and the instability domains of the 5182 aluminum alloy were smaller compared to that of the 7075 aluminum alloy, implying that the 5182 aluminum alloy had a better hot workability than the 7075 aluminum alloy. This research was supported by the Mid-Career Researcher Program through the National Research Foundation of Korea (2016) funded by the Ministry of Education, Science and Technology (2016R1A2B4015481).